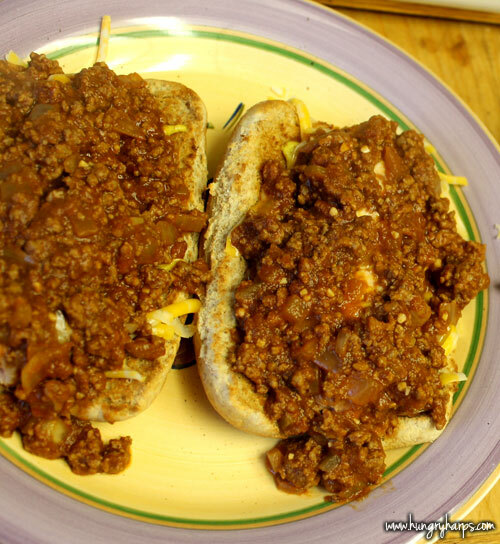 Oh man did I have a craving for a chili dog this past weekend. The craving was bad, it hit hard. I was going to buy canned chili before convincing myself to not be lazy and make my own. I am so glad I decided to not go the easy route on this one; the homemade meat chili sauce came out uhmazing. 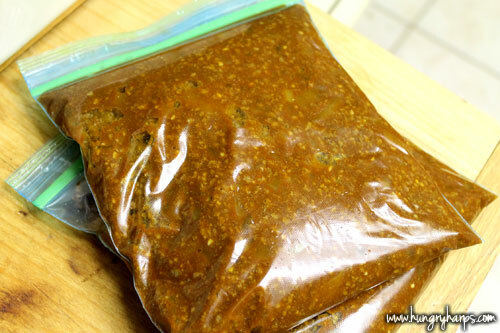 This was my first time making meat chili sauce, so I had to poke around the internet to see how others make it. I was a little surprised to see that some people boil the ground beef in this recipe to produce a smoother texture. Pretty interesting stuff and I was excited to try it – I had always wondered if anyone ever boiled ground beef and now was my chance to give it a shot. My craving was satisfied beyond what I ever imagined. This recipe is a keeper and a crowd pleaser! 1. 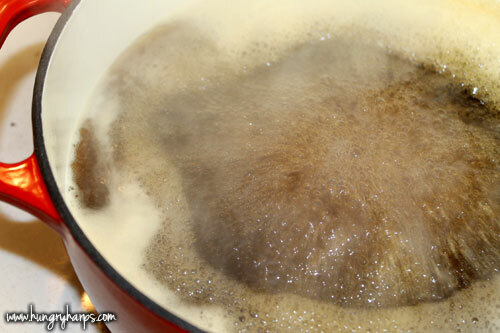 Bring beef broth and water to boil. 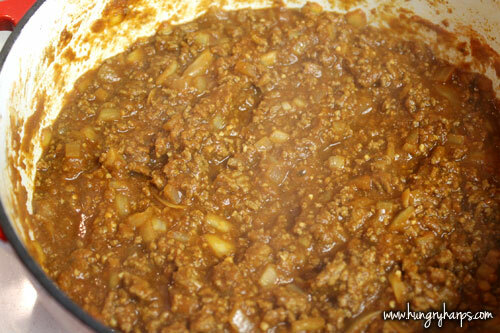 Add ground beef and cook until no longer pink. Drain and return to pot. 2. Over medium-high heat, add remaining ingredients. Stir well. Bring to boil and reduce heat to low. 3. Cook for 1 hour, stirring occasionally. If consistency is too thick, add water (or beer) while cooking.